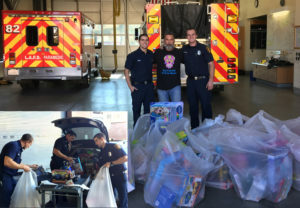 This years Toy Drive donated to Los Angeles Fire Department. 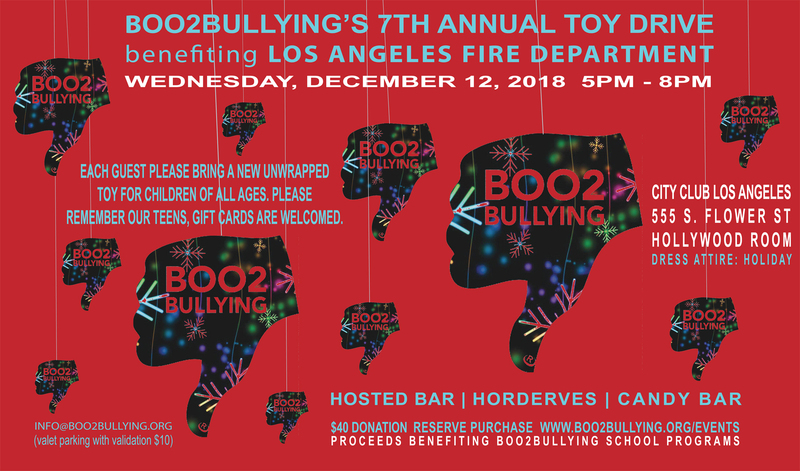 Each Guest please bring New Unwrapped Toy for children of all ages. Please remember our Teens. Gift Cards accepted. Our priority is to help children in our local community. As for our Toy Drive, last year was a tremendous success with over 200 Toys being donated. I have to tell you that when I was looking at the pile of presents before they were brought to Los Angeles Fire Department. I can truly say that there was no prouder moment in my life.